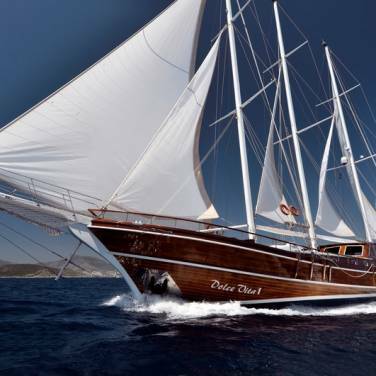 Gulet Andi star is a beautiful cruising boat available for charter in Croatia and cruises along the Adriatic coast. Andi Star is fully renovated in 2011 featuring all the necessary amenities for a lovely cruise in ultimate style and comfort. 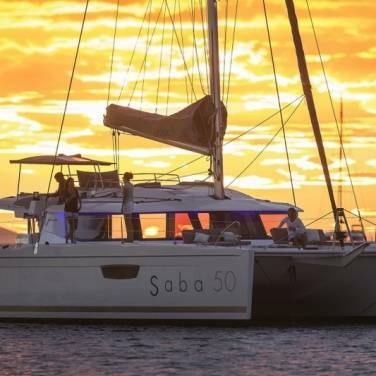 It contains 4 double bed cabins with an additional single bed and one master suite cabin, all equipped with air conditioning, private en suite bathrooms and paneling in mahogany, with the capacity of accommodating 10 - 12 charter guests. The interior salon is ample, containing a nice seating area and a bar, while the exterior spaces are ideal for lounging, sunbathing or al fresco dining under the stars. 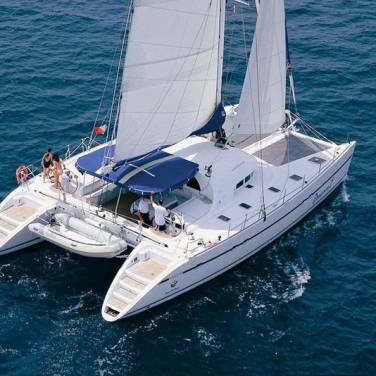 There is also an array of water sport equipment on board such as tender with an outboard engine, fishing and snorkeling equipment, windsurf and a canoe while Jet Ski and water skiing are possible on demand at extra charge. Gulet Andi Star has a professional and skillful crew of three, a captain, a steward and a chef, all sleeping in separate quarters and assuring that you experience a luxurious adventure that you will never forget.